Mail Chimp is one of the net’s most popular email newsletter services. This is a little plugin that adds several ways for you to add email list signup forms to your WordPress website. 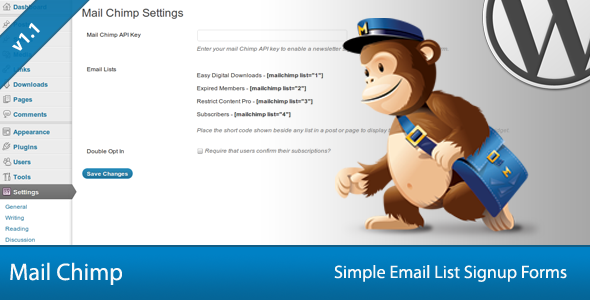 Share the post "Simple Mail Chimp Signup Forms"